Great, I guess I decided to have an eighteen-day posting dry spell! Well, I’m just enjoying a typical Vestal summer, hence no posts, because nothing ever happens! I’ve been sitting around the house all day and chilling with ESP and JSP at night. I did buy a car though! 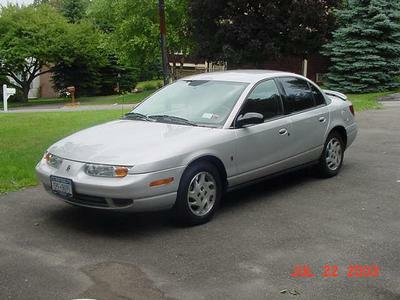 A 2000 Saturn SL2! I bought it out at Simmons-Rockwell in Big Flats by Elmira. I got a great deal on it. It’s completely loaded and only has 12,000 miles on it, and it only cost $6,999. I’ve been spending the last week learning how to drive the thing, because it has stick shift, and I’ve had to learn that. All right, I guess that’s it for now.